Tapioca Syrup Solids are white to off-white powder, slightly sweet and frequently used for bulking solids and solid adjustment. For delivering exceptional solids bulking without high simple sugars Organic Tapioca syrup solids are perfect. Made from 100% pure tapioca starch, Syrup Solids are great for formulating healthy, nutritious foods and beverages. Tapioca has been cultivated by the native people of America for thousands of years. The radical is a huge source of carbohydrates and is productive and drought hardy even in unfavourable growing environments. 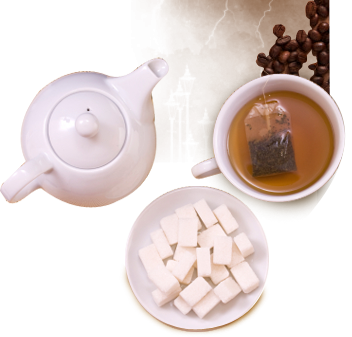 Be it in our every day foods or pudding or tea, Tapioca is a common element. In the Indian, Asian and South American cuisine we find the variations of tapioca. Natural enzymes are used to convert the raw cassava into natural tapioca syrup. Several tapioca products like flour, flakes and pellets are made using tuber as the base. Natural tapioca syrup is a prime source of sweetness and most importantly it is a natural way. Tapioca syrup is produced from tapioca starches through the process of natural fermentation. It is a non- genetically modified organism or non-GMO, gluten-free and mostly used as a better alternative to sugar, honey, corn syrup, molasses and maple syrup. Tapioca Sweeteners are not only a healthy replacement; they are also beneficial in loosening movements of bowel. Being high in starch, Tapioca syrup is commonly used to add sweetness and also used as a binding agent. As a binding agent it prevents foods like meat from drying out after processing. As a thickening agent it is widely used in gravies, soups and sauces and also in pie and tart fillings. In baked goods, frozen desserts, candies and table syrups you will find the common presence of tapioca syrup as an alternative to sugar and other sweeteners. Since this syrup contains a very high amount of starch, the items made with this syrup should not be over baked, otherwise, the products might get too starchy or sticky. Many people like to use it in baking as an alternative to corn syrup or applesauce. In smoothies and other drinks tapioca syrup can be used instead of honey for providing texture. A major health benefit of natural tapioca syrup lies in the fact that the glucose in the syrup gets absorbed into our bloodstream immediately, whereas, for the complex carbohydrates in the syrup it requires two to three hours for digestion. This long period of digestion ensure a steady energy flow in the person consuming it. In a ¼-cup serving of tapioca syrup contains 168 calories; on the other hand serving of sucrose of the same size contains 194 calories. Therefore, it helps you reduce weight.